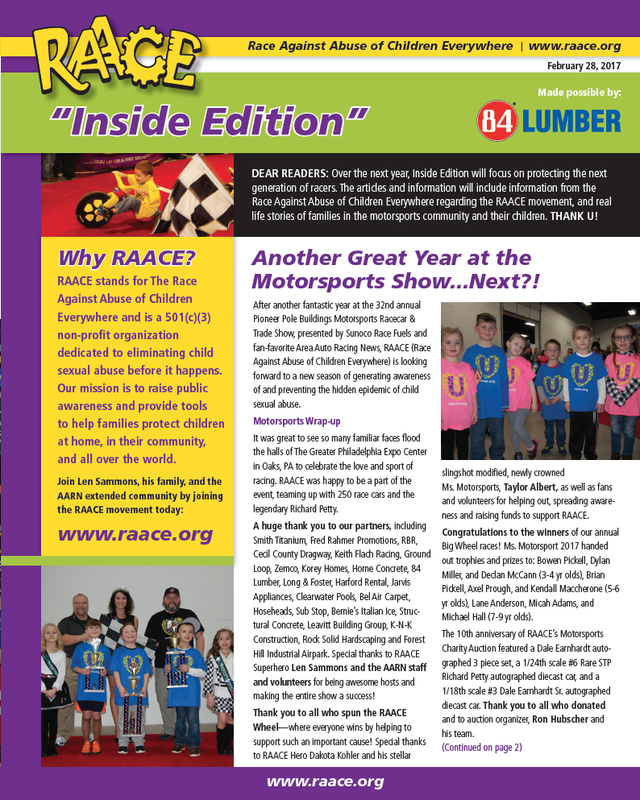 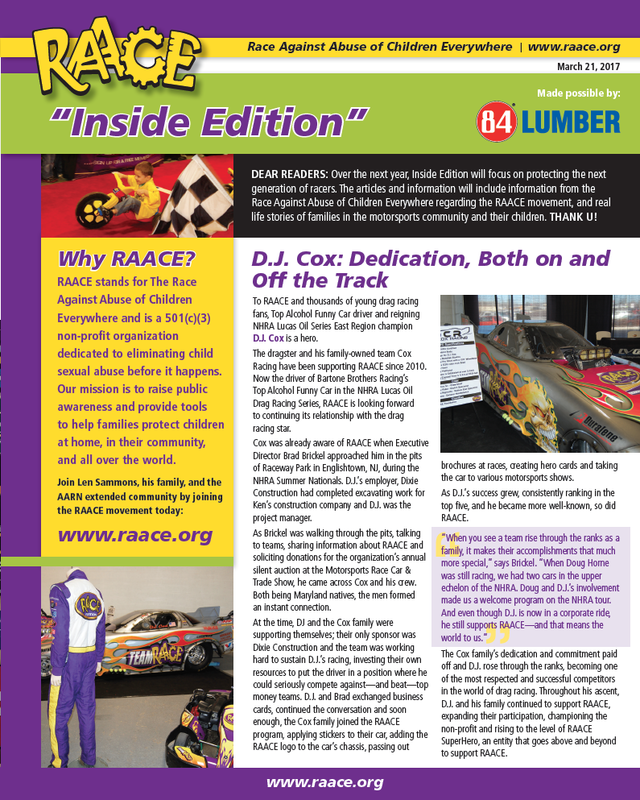 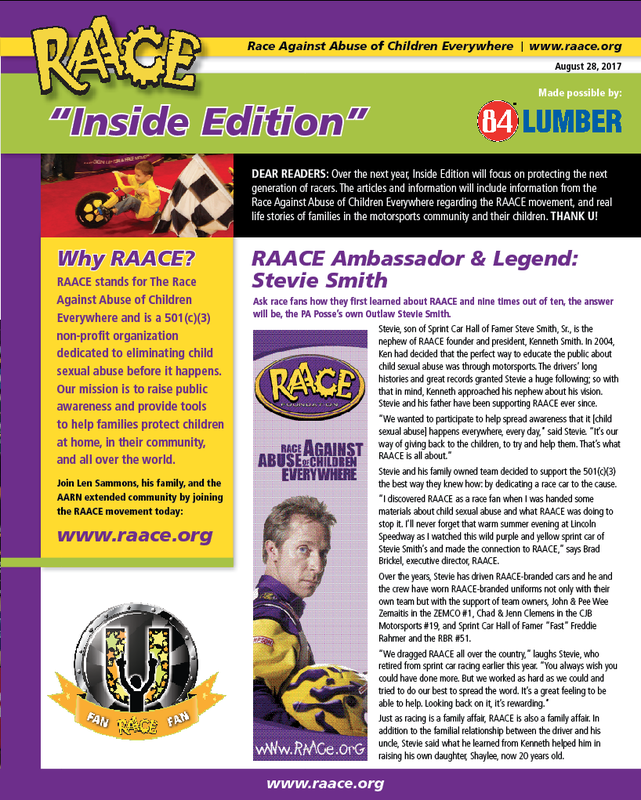 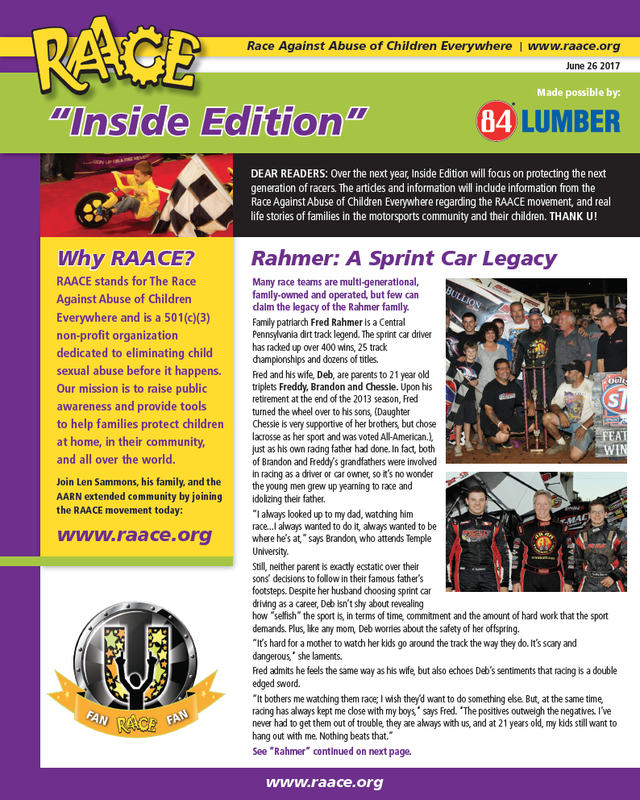 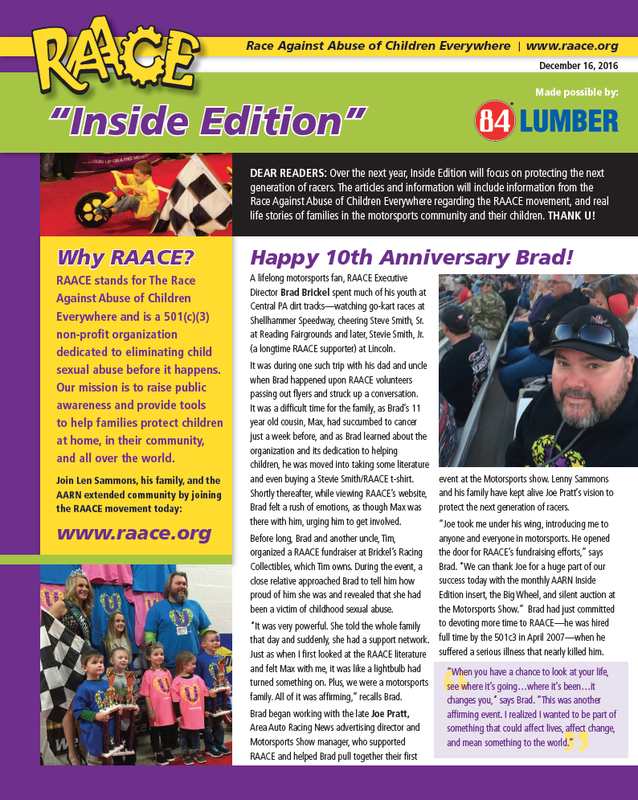 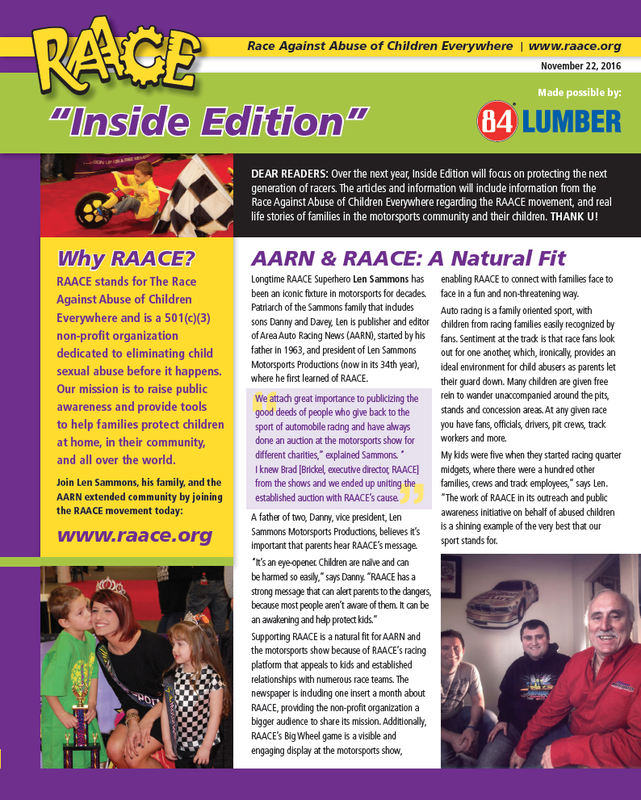 Sponsored by SuperHero, Area Auto Racing News (AARN), we are proud to offer RAACE Fans, the "Inside Edition". 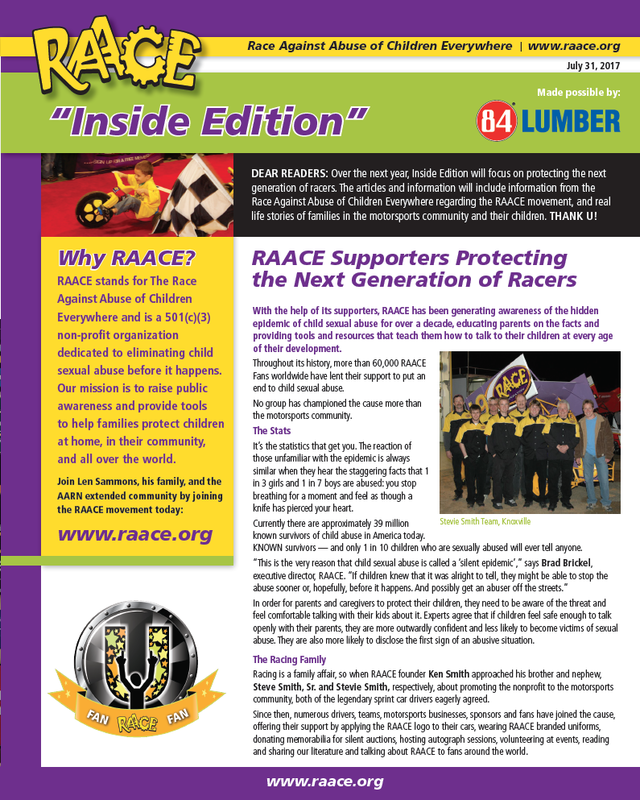 To read full versions of any of the monthly publications, click on the image links below to access a readable and downloadable PDF. 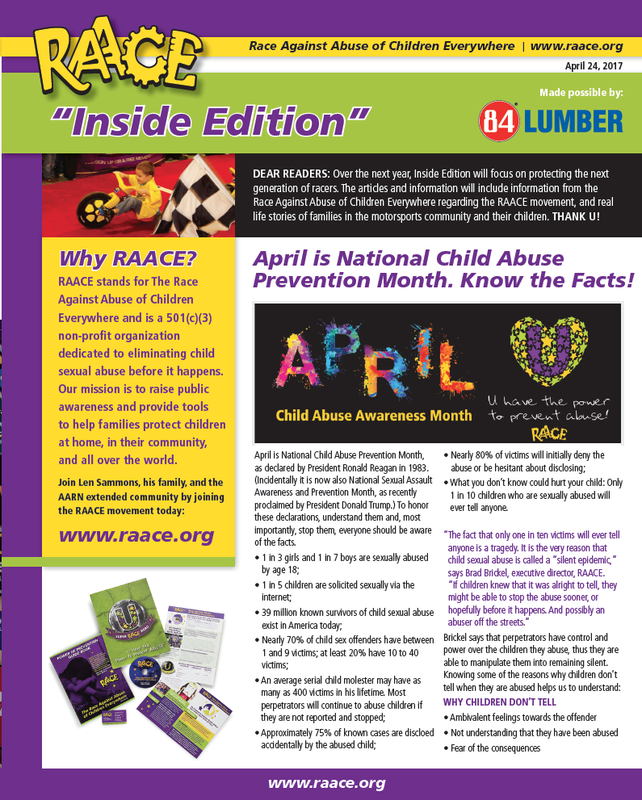 With the help of its supporters, RAACE has been generating awareness of the hidden epidemic of child sexual abuse for over a decade, educating parents on the facts and providing tools and resources that teach them how to talk to their children at every age of their development. 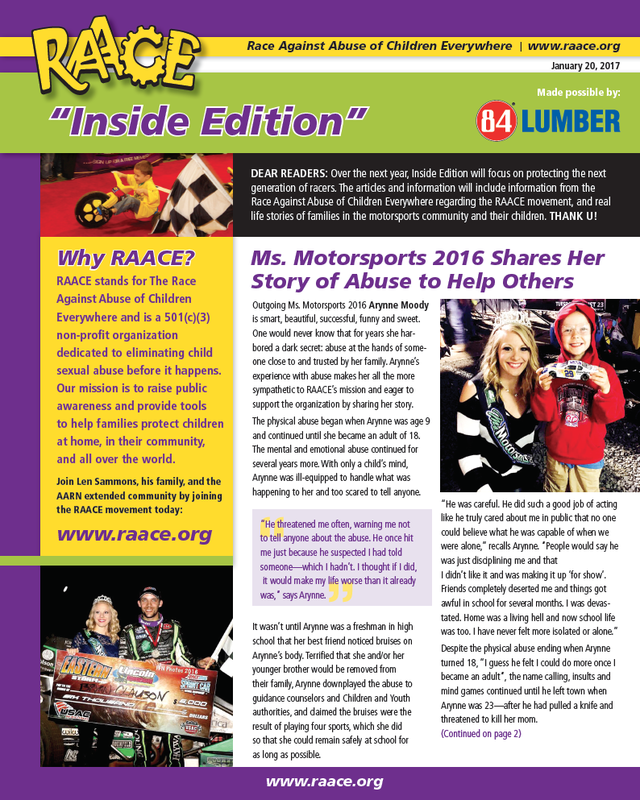 Throughout its history, more than 60,000 RAACE Fans worldwide have lent their support to put an end to child sexual abuse. 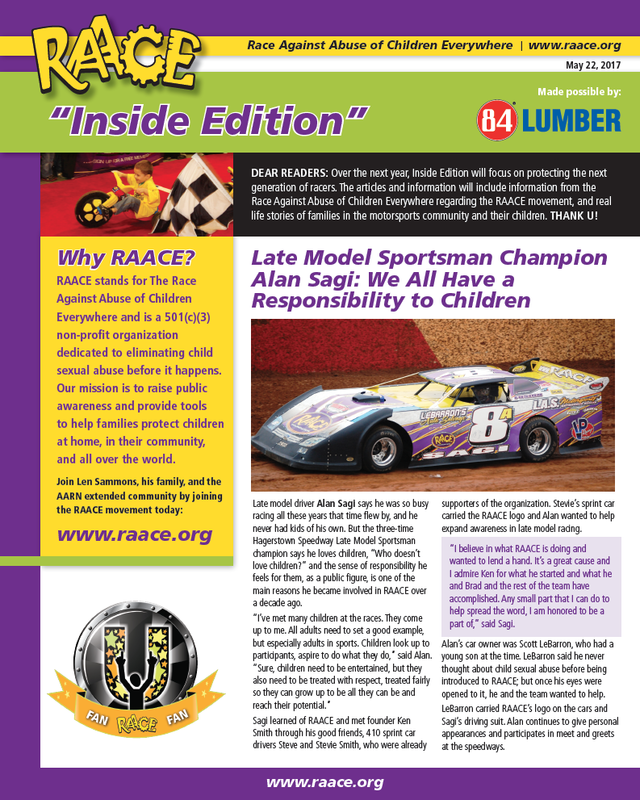 No group has championed the cause more than the motorsports community.